To schedule a cataract evaluation, call us at 919.967.4836 ext 115, or email cataract@carolina2020.com. We look forward to meeting you at your appointment. A cataract is the clouding of the crystalline lens located behind the cornea of the eye. Cataracts form gradually over time as we age, but can occasionally occur rapidly. 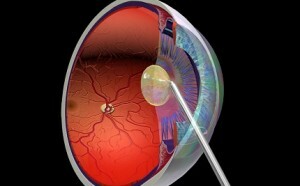 In most cases the growth of a cataract is so slow that people do not notice a change in their vision. Cataracts are extremely common. In fact, cataract surgery is the most frequently performed procedure in the United States with over 1.5 million patients undergoing the cataract extraction each year. The success rate for cataract surgery is extremely high with over 95% of patients being satisfied with clearer vision and improved quality of life. A cataract is a change in the clarity, or a clouding, of the lens in your eye and causes images to become blurred and seeing things at night becomes more difficult. More than half of all Americans age 65 and older currently have cataracts. In more than 90 percent of cases, cataracts are caused by the natural aging process. Cataract removal is a safe and effective procedure and is the most frequently performed surgery in the U.S. Cataract surgery has undergone tremendous technological advances in recent years. In the past, cataract surgery could only restore a patient’s distance vision; but today, you enjoy crisp, clear, glasses-free vision from near to far. There is an exciting option for individuals over 45 who are considering vision correction and have been told that they’re not a candidate for LASIK. It’s called Clear Lens Exchange – or CLE for short. CLE also known as Clear Lens Extraction, Refractive Lensectomy, Presbyopic Lens Exchange (PreLex), or Refractive Lens Exchange, is essentially the same procedure as cataract surgery. However, CLE is performed prior to the development of cataracts for the refractive benefits. CLE is well suited for people over 45 because that is the age that most people begin to lose their ability to focus up close. This occurs when the natural lens becomes less flexible, and no longer accommodates as well to changing its focus from distant to near objects. It is then that reading glasses or bifocals are prescribed. Unlike LASIK or PRK that correct vision by reshaping the cornea, CLE corrects your vision by changing the focusing power of the eye’s lens. To do this, our doctors will replace your natural lens with an artificial intraocular lens implant (IOL) to achieve clearer eyesight. Some doctors use a lens that has a fixed focal length that does not accommodate for near vision. In our experience, most patients want a full range of vision. That is why our doctors prefers the FDA-approved AcrySof® ReSTOR® IQ implant which allows you to enjoy clear distance and near vision without the need for reading glasses or bifocals. If you would like to enjoy the benefits of clear lens exchange but have astigmatism, our doctors may recommend a different advanced lens called the AcrySof® Toric lens. It’s the first IOL that treats farsightedness or nearsightedness along with any preexisting astigmatism. Both implants are permanent. Since your lens has been replaced with an artificial one that never clouds, patients who have CLE performed will never develop cataracts nor will they ever require cataract surgery in the future. Dr. Bryan and Dr. Shaw perform this virtually painless surgery with no injections at all, only anesthetic eye drops. He will make a tiny incision in your eye, remove its natural lens, and replace it with a new lens. The actual surgery can take minutes and the results are permanent and life changing. You will return home to rest after surgery. Steroid, antibiotic and anti-inflammatory eye drops are given to you for comfort and to promote healing. Most of our patients are back to their normal activities the following day. One eye is scheduled at a time, usually one week apart. It may take you some time to get accustomed to your new vision. Many patients see better within a week or two and may continue improving for several weeks. Unlike monofocal lenses used in traditional cataract surgery, ReSTOR® IQ is a multifocal lens, designed to restore your full range of vision near through distance — so you can regain your visual freedom. ReSTOR® The opportunity for freedom from reading glasses and bifocals. The AcrySof® ReSTOR® IQ lens is a breakthrough because it corrects vision with or without cataracts and with or without presbyopia. Presbyopia is the reason many patients need reading glasses as their eyes age. Full range of vision. With this increase in vision quality, AcrySof® ReSTOR® IQ patients would be able to pass the visual acuity portion of the driver’s license exam in most states. The ability to read small type quickly and easily. While only 1 out of 13 patients with the other IOL could read small type, 4 out of 5 AcrySof® ReSTOR® IQ patients were still able to read small type. Better vision in all lighting situations. Whether in brightly or dimly lit conditions the apodized diffractive optics of the AcrySof® ReSTOR® IQ lens minimizes the occurrence and severity of visual disturbances compared to other multifocal technology. As with any surgical procedure, there are associated risks and benefits. While there may be a decrease in the need for glasses some patients may notice rings around lights at night. These side effects may make it more difficult to drive at night or perform tasks in low light conditions. While virtually everyone experiences an improvement in vision after surgery, some people will have better uncorrected vision than others. Therefore, it is important to discuss the potential risks and benefits with our doctors who will let you know if ReSTOR® IQ is right for you. Call (919) 967-4836 Ext. 115 to schedule a free cataract consult or Email: cataract@carolina2020.com. IOLToric Lens Implants are a unique type of lens implant that is used to correct astigmatism. Asymmetric steepening of the cornea or natural lens causes light to be focused unevenly, which is the main optical problem in astigmatism. To individuals with uncorrected astigmatism, images may look blurry or shadowed. Astigmatism can accompany any form of refractive error and is very common. A toric lens implant is NOT the only method of astigmatism correction so consult our doctors about the current possibilities. Astigmatism can be corrected with glasses, contact lenses, corneal relaxing incisions, laser vision correction, and special implant lenses. If a cataract patient has astigmatism and has aspirations to be glasses free after surgery the Toric lens implant is a good option. TORIC IQ lens implants are NOT a correction option for presbyopia. The AcrySof® TORIC IQ lens implant is a popular choice for this type of lens. 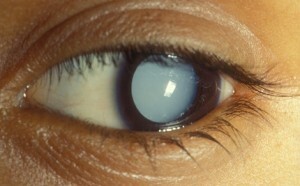 As mentioned above the Toric IOL is used in cases of astigmatism. Asymmetric steepening of the cornea or natural lens causes light to be focused unevenly, which is the main optical problem in astigmatism. To individuals with uncorrected astigmatism, images may look blurry or shadowed. Astigmatism can accompany any form of refractive error and is very common. You have had a recent eye exam and have been told that there is a membrane in your eye left over from cataract surgery that has become hazy and is impairing your vision. If left untreated, your vision will worsen over time. You have 60 days to have the laser procedure done or you will require another eye exam that is more recent. When you arrive, a technician will check your blood pressure and you will be asked to sign a consent form. Drops will be used to dilate your pupil and to keep your intraocular pressure from going up after the laser. Once your eye is dilated, a numbing drop will be instilled into your eye; no injections or needles are used. When your eye is completely numb, a contact lens will be placed on it to help focus the laser accurately and also to keep you from blinking. Your ophthalmologist will use a YAG laser to create an opening in the center of the cloudy capsule. The opening allows clear passage of light rays and eliminates the cloudiness that was interfering with your vision. Most patients say there is little, if any, discomfort associated with the procedure. The actual procedure takes no more than five minutes, however you will need to have the pressure in your eye checked after the procedure; if this is normal you will then be able to go home. Visual improvement is usually noticed once the effects from the dilating drops have diminished. You will be given a follow-up appointment to be seen within 6 weeks. Serious complications with posterior capsulotomy are extremely rare. It is a safe and effective procedure, but like any medical procedure, it does have some risks. The most common being the rise in pressure within the eye. If this occurs then you may be given drops, or a combination of tablets and drops, to reduce the pressure. There is also a slightly higher risk of retinal detachment and also swelling of the macula both of which are rare. Going to an eye specialist experienced with the procedure can significantly minimize the risks involved with posterior capsulotomy. Click here for the Informed Consent Form for Yag Posterior Capsulotomy.